The second trailer for DC’s Aquaman has finally dropped, and along with offering a generous five minutes of footage, there was one particular reveal that fans of Arthur Curry’s comic book saga were waiting for that it delivered as well. A few months ago, a figure went on display at the San Diego Comic-Con of Arthur in his classic orange and green costume. The reveal prompted Kevin Smith to declare that the upcoming Aquaman looks to be the most faithful comic book movie ever made, and while that bold prediction is still awaiting confirmation, we can at least see how this same getup looks in its live action form thanks to the photo below. 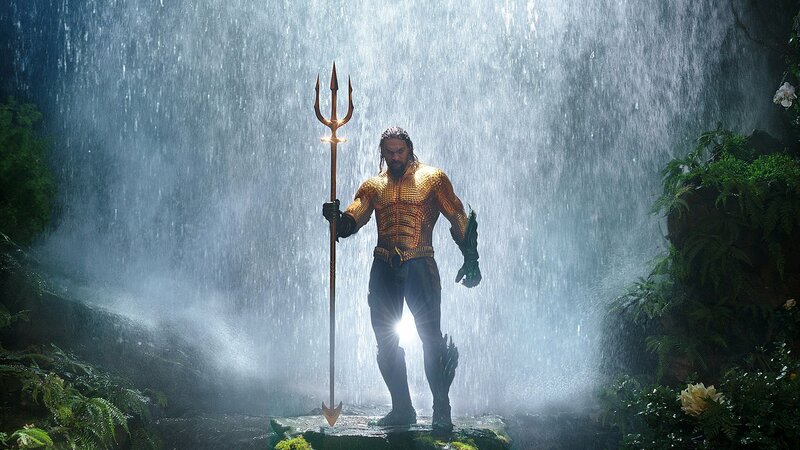 Given the rather loud colors that make up this suit, there was always the risk that such a design would look pretty silly on the big screen, but Jason Momoa seems to have the intimidating presence to pull it off, with that glistening trident only further emphasizing that this is one Aquaman you probably shouldn’t poke fun at. While this is our first look at the outfit’s full body, a poster that was released earlier this week already gave us an arm’s worth, with Arthur’s green-covered right hand emerging from the water while clutching his trusty trident. “A Tide is Coming,” read the image’s ominous tagline, though we’ll just have to wait to find out if this film’s arrival is worth welcoming. We’ll see if Aquaman can turn the tide for this troubled superhero saga when it lands in theaters on December 21st, 2018.